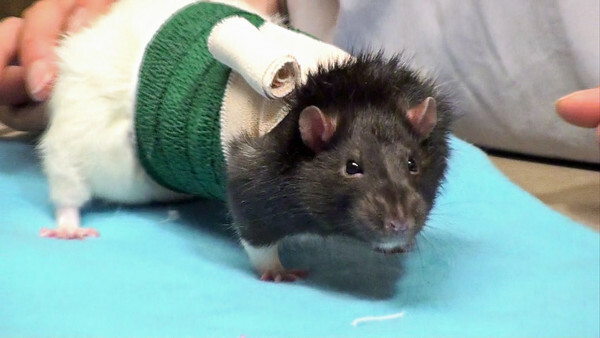 Dr. Anthony Pilny and technician, Jennifer Padro demonstrate how to post-op bandage wrap a pet rat. 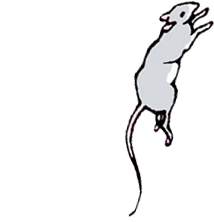 Be sure to use a non-stick telfa pad when covering your rat's incision. The first thumbnail here is the video.